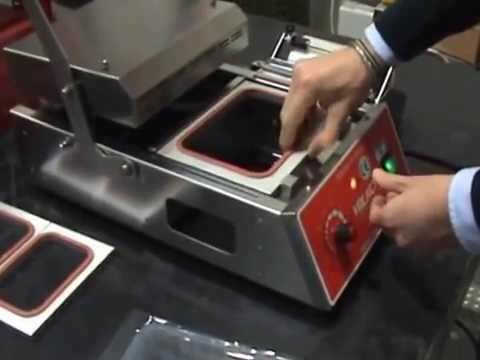 Hermetic manual tray sealing machine “TS” series in stainless steel without dies (max. tray height 100 mm, max. width of the film roll 150 mm).